Group Of Teenage Boys Are Walking Down The School Hall Together To Go For Their Lunch Break. They Are Talking And Laughing And Some Of The Boys Are Using Smart Phones. Royalty Free Fotografie A Reklamní Fotografie. Image 72952760. 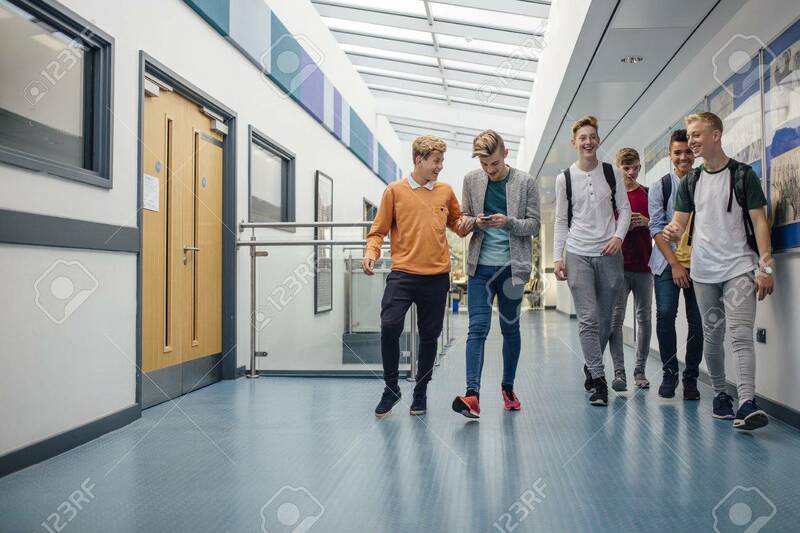 Reklamní fotografie - Group of teenage boys are walking down the school hall together to go for their lunch break. They are talking and laughing and some of the boys are using smart phones. Group of teenage boys are walking down the school hall together to go for their lunch break. They are talking and laughing and some of the boys are using smart phones.